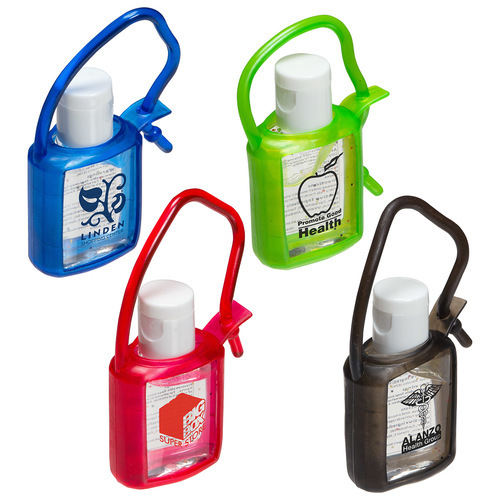 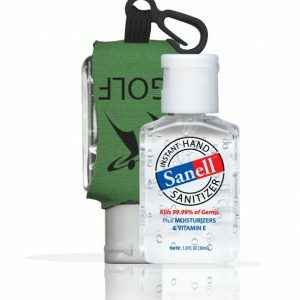 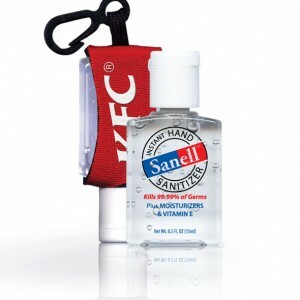 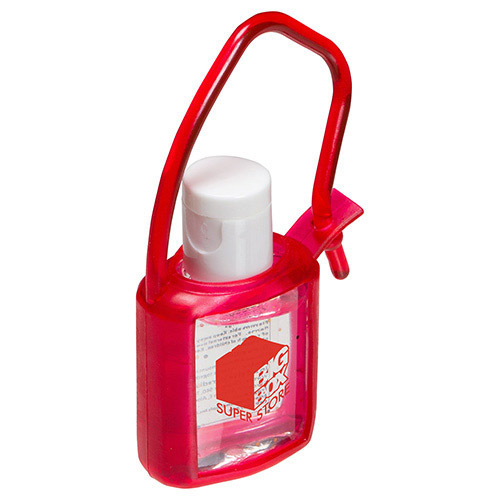 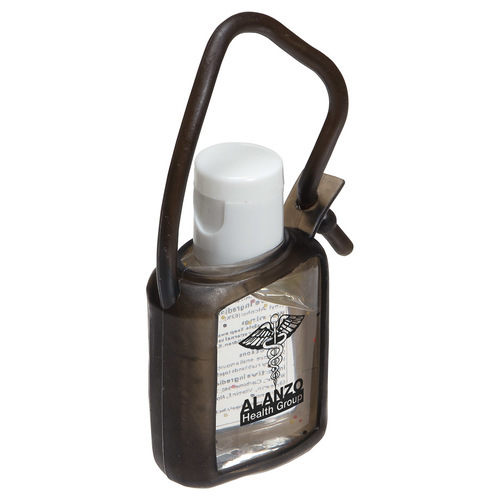 Make the most of your next promotional campaign with this Cool Clip Hand Sanitizer! 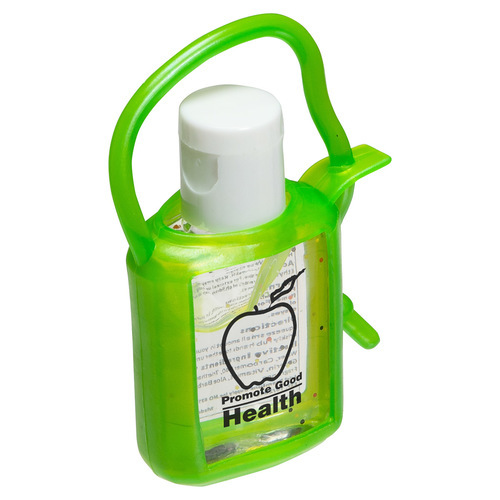 Use the colored rubber tagalong case to attach this item to your purse or travel bag. 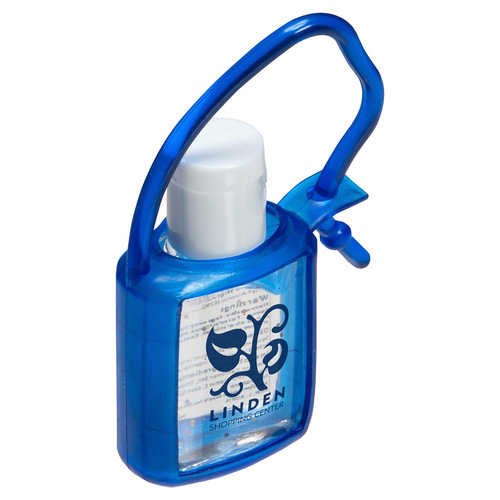 Feature this item at tradeshows, employment fairs, and more. 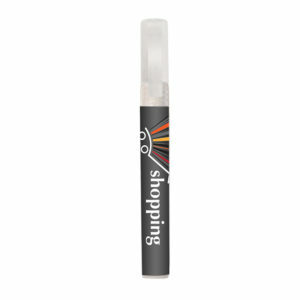 Contains 62% alcohol as well as moisturizing beads with aloe and vitamin e. FDA approved and citrus scented.